I know, you were probably expecting a Halloween card. Ghosting is a stamping technique. 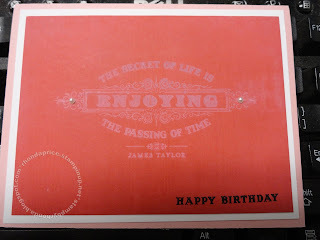 This effect is when you stamp your image on Whisper White cardstock with Whisper White craft ink. Then you use your brayer to roll ink over the image. The craft ink keeps the paper from absorbing the ink and the color shows up in a lighter tone. I used Primrose Petals on this card. I then layered it onto Whisper White. The card base is Blushing Bride. I added two Pearl Basic Jewels. 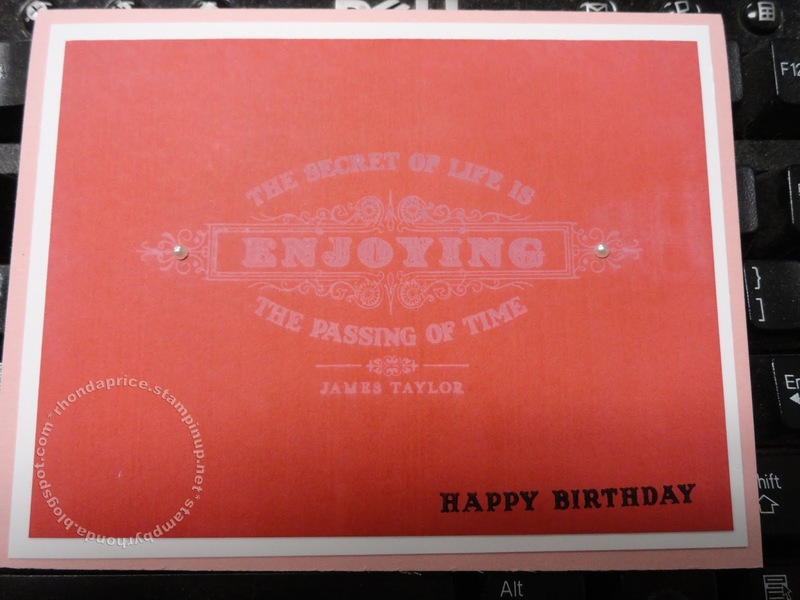 Then I stamped Happy Birthday in Stazon Black. The stamp set used was From My Heart.